When rules are made to be broken, you just have to take risks. Sam Lips (left) and Gemma Sutton (right) star in the funny, flashy and forever memorable Strictly Ballroom on stage until June 25. First produced as a stage play in 1984, it was reimagined for film in 1992, with original Director and Co-Writer Luhrmann also directing. 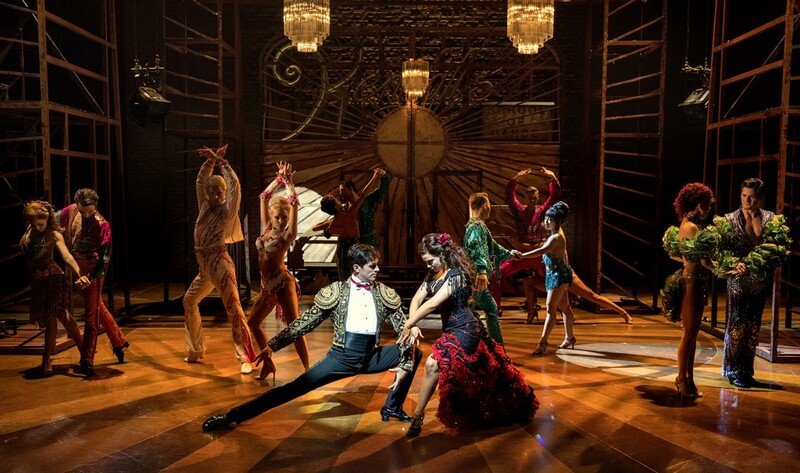 Setting it apart from other musicals, the score for Strictly Ballroom features a number of different composers, reflective of the world and era at the time. The musical follows ballroom dancer Scott Hastings (Sam Lips), who is determined to personalise his style of dancing and win the Pan-Pacific Grand Prix Dancing Championship. Following in the footsteps of his parents, Scott is faced with high expectations. His mother, Shirley (Tamsin Carroll), wants her son to dance the way a ballroom dancer dances, but his potential “chosen” dancing partner, Tina Sparkle (Charlotte Gooch), warns him there is “no life after dance” in the provocative Farres and Davis’ Perhaps, Perhaps, Perhaps. However, his father Doug (Stephen Matthews), encourages him to follow his dreams and be his own dancer, as reflected in Perfect’s What Was It All For? Determined not to conform to style, he goes against the rules, saying, “I know it’s wrong, but feel it’s right”. During his journey of self-discovery, he meets Fran (Gemma Sutton) who shares his passion for freedom through dance, the eclectic mix of music fitting neatly into the plot. As their movements evolve, so does their love in Cyndi Lauper’s Time After Time and the popular George Young and Harry Vanda’s Love Is In the Air. For many, Strictly Ballroom offers more than just dancing. It explores different cultures and expectations, hopes and dreams, the risk of nothing for following one’s heart, and not being afraid to challenge convention and systems. Such themes are expressed beautifully and emotively from the leads as well as the ensemble, who move like a kaleidoscope across the stage under a glitter ball. This is a show that captivates thanks to a stellar cast.